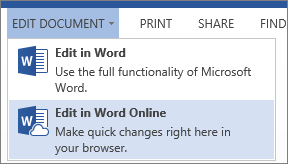 There are two quick ways to delete rows and columns from tables in Word Online. Click anywhere in the table row or column you want to delete. If you want to remove more than one row or column, select a cell in each row or column you want to delete. 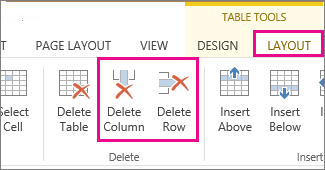 Under Table Tools, click Layout, and then click either Delete Row or Delete Column. The other quick way to delete rows and columns is to select the contents of a cell in a row or column you want to delete. This opens a pop-up menu. Click Delete and then click either Delete Row or Delete Column.